CopyStorm/Restore will perform parent/child record analysis much faster if the CopyStorm database foreign keys are fully indexed. 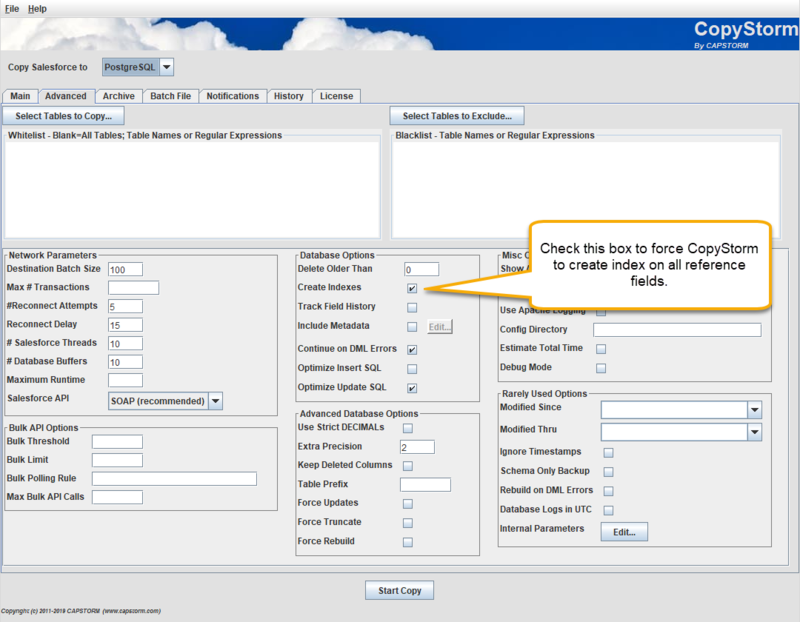 To create the necessary indexes, check the “Create Indexes” checkbox on CopyStorm’s Advanced tab and rerun CopyStorm. What Happens if Indexes Are Not Created? These will cause the entire Contact table to be scanned (an Order(n) operation). After creating the indexes, each lookup is an Order(1) operation (e.g. 1000s of times faster).